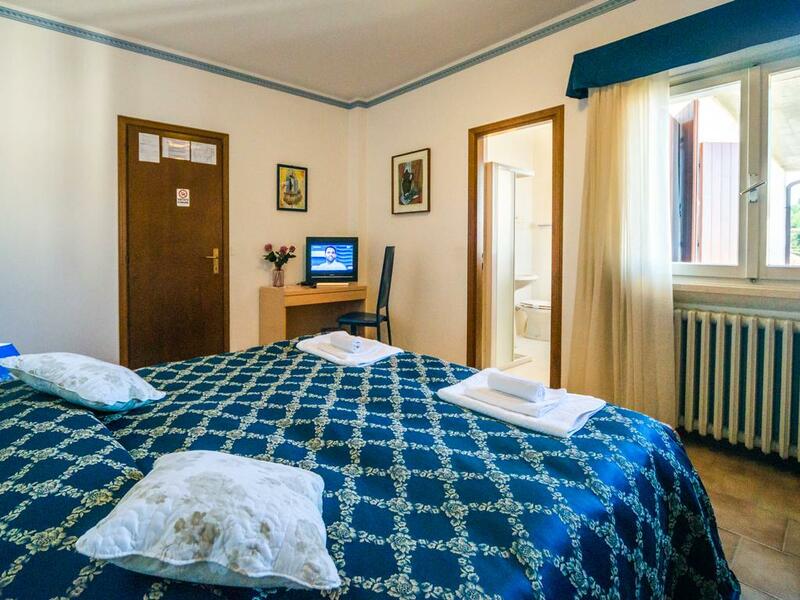 Hotel Villa Anthea is a family-run business located a few meters from the centre of Garda. In a quiet and convenient location, offers services such as bar, air conditioning, elevator, swimming pool with Jacuzzi and sunbathing area with sun loungers. The hotel has 27 rooms of different types equipped with bathroom with shower and window, hair-dryer, led TV, safety deposit box, air conditioning, telephone, mini bar. 29/07/2018 · Thomas rated this hotel. 09/09/2017 · von Schilgen rated this hotel. 29/08/2016 · Stefania rated this hotel. 14/09/2015 · Nils rated this hotel. 06/09/2015 · BERNADINE rated this hotel. I cannot rate the staff highly enough as they were consistently attentive and courteous. The hotel itself was immaculately clean. Breakfast was very good with plenty of choice. The pool was rather small, but ok considering it was a three star hotel and the lake at Garda is easily accessible for swimming. 03/08/2015 · Matthias rated this hotel. Alles Tip Top! 08/10/2014 · eugen rated this hotel. 20/09/2014 · David rated this hotel. Would recommend to everybody. This hotel is perfect, so clean, staff so friendly and helpful. Breakfast was an amazing meal, wonderful food! The swimming pool area was lovely, and the Jacuzzi good for sore feet that had walked so far! The cleaning lady each morning was always so cheerful, too! Everything was great! 04/09/2014 · David rated this hotel. 24/08/2014 · Olaf rated this hotel. 17/06/2014 · Jean-Pierre rated this hotel. Schönes Hotel ganz in der Nähe zum Ortskern. Sauber. Nettes Personal. Frühstück war auch gut. 04/06/2014 · hannelore rated this hotel. Sehr schönes Hotel. Freundliches Personal. Alles sehr sauber. Top Lage. 08/05/2014 · Elisabetta rated this hotel. Das Frühstück könnte ein bisschen abwechslungsreicher sein. 16/09/2013 · Thomas rated this hotel. 08/09/2013 · Florian rated this hotel. 25/08/2013 · Bernadette rated this hotel. 21/08/2013 · hugh rated this hotel. 20/08/2013 · Sybille rated this hotel. 19/08/2013 · Alexander rated this hotel. 18/08/2013 · Luigi Joseph rated this hotel. 28/06/2013 · Marcus rated this hotel. 10/10/2012 · aldo rated this hotel. 09/10/2012 · Antonio rated this hotel. Lo staff è molto gentile. 08/10/2012 · iotti danilo rated this hotel. 17/09/2012 · ANN rated this hotel. 04/09/2012 · Johann + Ingrid rated this hotel.